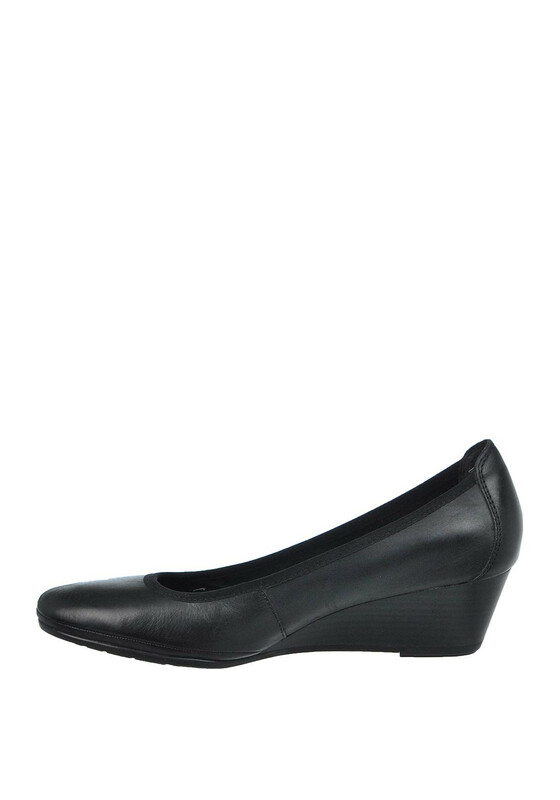 A smart and stylish pair of wedged shoes from Marco Tozzi in black. 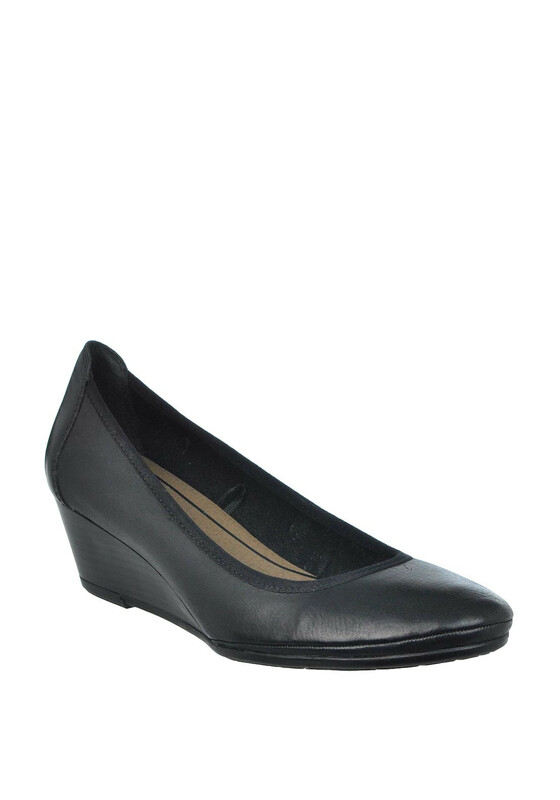 Crafted from a premium leather with a comfortable cushioned insole and black lined wooden look wedged heel. A classic pair that will look amazing for the office.